Spring is now finally here! A season in which the weather starts to steadily improve, allowing for us to spend some quality time in our gardens. Whether you are seeking to completely redesign your garden area or simply add a patio or some plants, good quality lighting is quintessential with regards to completing the look of your garden. Lighting will enable you to obtain full enjoyment from your garden, even after the sun starts to set. 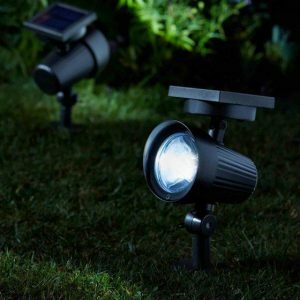 Here at Polhill, we have a wide range of outdoor lighting – including solar powered lights which are more of a cost-effective form of lighting as they are cheaper to run. We are very passionate about environmental sustainability, meaning that solar lights are a huge aspect within our range. WHERE SHOULD GARDEN LIGHTS BE POSITIONED? This is highly subjective as everyone tends to have different opinions on where lights should be located round the garden. We at Polhill recommend locating lights around plants, seating areas and sculptures as they help to showcase the beauty of a garden whilst taking the eye off areas such as sheds and children’s toys including slides and trampolines. However, it is important to not use too much lighting, as you risk making your garden too bright and ruin the cosy nature you were aspiring for. Polhill Tip: Please remember to position solar powered lights in areas where they will obtain enough levels of sunlight as this is the process of keeping them charged. Spotlights are fantastic for emitting great levels of light and can help set off features within the garden such as ornaments. 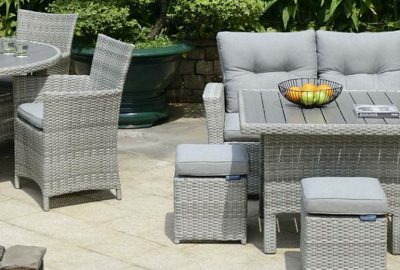 They can also look great on patios and decking, with the bonus of helping you see where you are walking! Polhill Tip: Spotlights can also be highly effective on small walls and borders around flower beds. With alfresco dining becoming an ever more popular trend, why not use sufficient lighting on your outside table to help replicate a candle lit dinner. Small lanterns and stake lights are also highly effective for alfresco dining, helping to give that relaxing evening vibe. 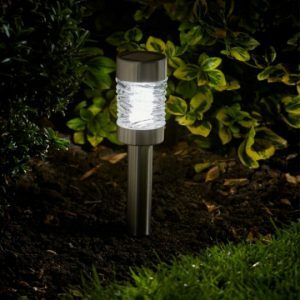 Solar powered lights are healthier for the environment so are a great option for those who are truly passionate about sustainability and wanting to create an eco-friendly garden. They offer great levels of versatility as well as being more of a cost-effective form of lighting. Coloured lights can be a great way to make your garden stand out from your neighbours. Using various colours can create a garden space which embodies a vibrant atmosphere. 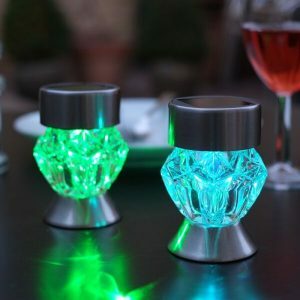 This makes the garden look very welcoming and can serve as great lighting for any garden parties you may be hosting. 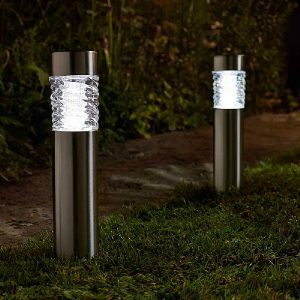 We stock a wide range of LED and solar powered lights, meaning you are bound to find the perfect option for your garden area. LEDs (light emitting diodes) are popular as they are particularly useful for long cable runs and can be used almost anywhere! For example, they can be implemented as recessed spots in paving and decking or under water spouts and fountains. LED string lights can also help to supply a warm and cosy feel within a garden. 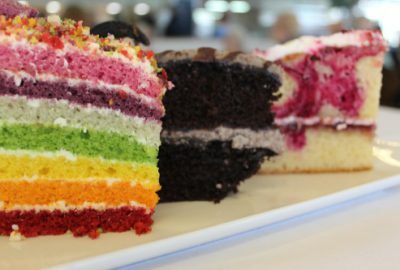 They can be implemented in several ways, ensuring that you can create a look which is perfect for you. For example, across parasols and gazebos which helps to encapsulate a glow which can be great for parties and BBQ’s. Most LEDs come in different colours and some may even be programmed to showcase specific colours, ensuring that the lighting mood is always to your preference. LEDs tend to last longer than conventional bulbs and are cheaper to run too. LEDs can really help give a modern and contemporary look to your garden space. Here at Polhill, we also have a great range of solar powered LED lighting – the perfect combination of efficiency and durability. Polhill Top Tip: Both white and coloured LEDs can really help draw attention to the centrepiece of your garden and look great around paving and decking areas. Lanterns, spotlights, LEDs and string lights can all be used for parasols and gazebos, really helping them to stand out on those evenings which can be spent in the garden. 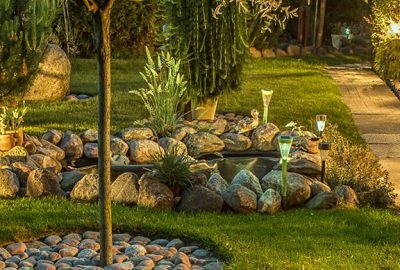 Due to the high versatility in the combination of lighting which can be used, you are bound to create a unique look for your garden. Our solar powered stake lights can really help set off a patio and/or decking area. They emit enough light which can be visible around the garden whilst looking elegant in the process. As with all solar lights, it is imperative that stake lights are positioned in an area where they can receive enough sun light to charge sufficiently. Lights in the form of flowers are becoming an ever more popular sight in gardens too. Here at Polhill we stock flower stake lights such as Red rose, White rose, Lilies, Fuchsia and White pansies to name a few. During the day they can serve as a decorative element to the garden. At night once lit up, they can transform and become an integral aspect of your garden. 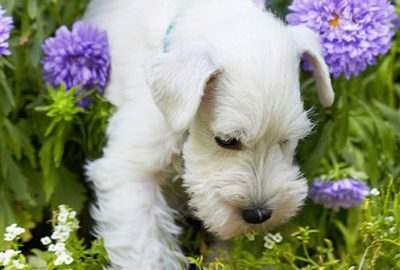 Perfect for the spring months, as they assist with adding vibrant colour to the garden. 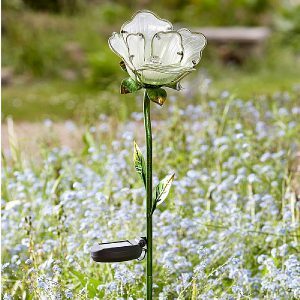 The flower lights are also solar powered making them extremely cost effective to run. 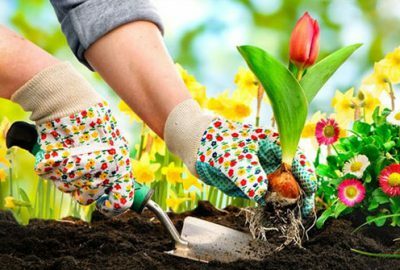 Now that spring is here, there is no better time getting garden lights sorted so that you can start to enjoy quality time in the garden as the days start to gradually become longer. If you require any assistance with choosing lighting for your garden, our friendly and knowledgeable team are happily available to help. 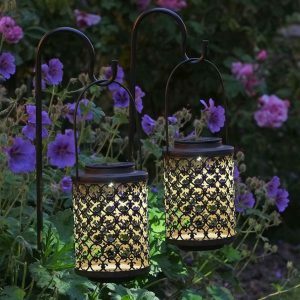 Very handy blog post on garden lighting. Love the LED lights in particular, especially the bright colours. The flower lights look beautiful too. Thanks for sharing.